Another in a great series of police mysteries set in Devon, England. From the publisher - "The brutal massacre of the Harford family at Potwoolstan Hall in Devon in 1985 shocked the country and passed into local folklore. And when a journalist researching the case is murdered twenty years later, the horror is reawakened. Sixteenth century Potwoolstan Hall, now a New Age healing centre, is reputed to be cursed because of the crimes of its builder, and it seems that inheritance of evil lives on as DI Wesley Peterson is faced with his most disturbing case yet." Sounds a bit Gothic! but it's really a modern mystery, with all the problems for the police that you'd expect and a few more. 620 Sixth Street - near corner of 6th St. & 6th Ave. Picked up at the meet-up in New Westminster. I read another of her books and liked it. Looks good. This was a good one! I recommend it. This is now on its way to Erishkigal, who chose it out of Loriped and Shroffland's Mysterious Mysteries VBB. Enjoy! Excellent read, with unexpected twists and turns....just when you think you've got it all worked out....heheheh. I loved the way it's set up, with the 1605 diaries tying to the present day. 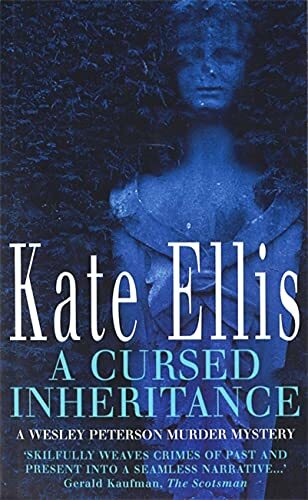 Kate Ellis is a new author for me, and judging by previous JE's, I've made an excellent choice. ;) Thanks for the book, the cute bookmark and lovely postcard, Erishkigal. Thank you for the mystery, Erishkigal. Taking the book to the Calgary BC Meetup at the Joshua Tree Cafe. Picked up at the Feb. meeting. Interesting read. Combines a little history mystery with a current mystery. enjoyed the different characters and their personal issues. I am taking this to be either taken to another good home or to be left on the bookshelf at the Joshua Tree Cafe on Sat. With another baby on the way, I have to purge my shelf a bit. I am returning this one to the group where it can find a new reader. Picked , and WAY TOO MANY other books up at the March meet up at Cravings.